A labor of love over the last 40-plus years by noted Jaguar engine specialists Bill Terry and Steve Lampley at TT Race Engines in Benton, Illinois, produced the engine in this video. Terry started building engines to use in his racing exploits all those years ago, and today, even though he considers himself retired, he continues to create masterpieces for vintage Jaguar road racers. 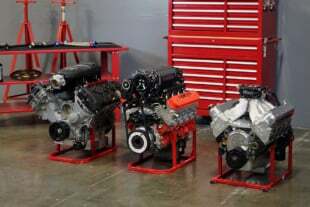 The engines are used in HSR (Historic Sportscar Racing) and SVRA (Sportscar Vintage Racing Association) competition on noted road courses like Watkins Glen, Sebring, and Road America. The 4.2 liter engine shown here is based on the Jaguar XK architecture, which is a dual-overhead-camshaft design that was originally introduced in 1949 and discontinued in 1992. 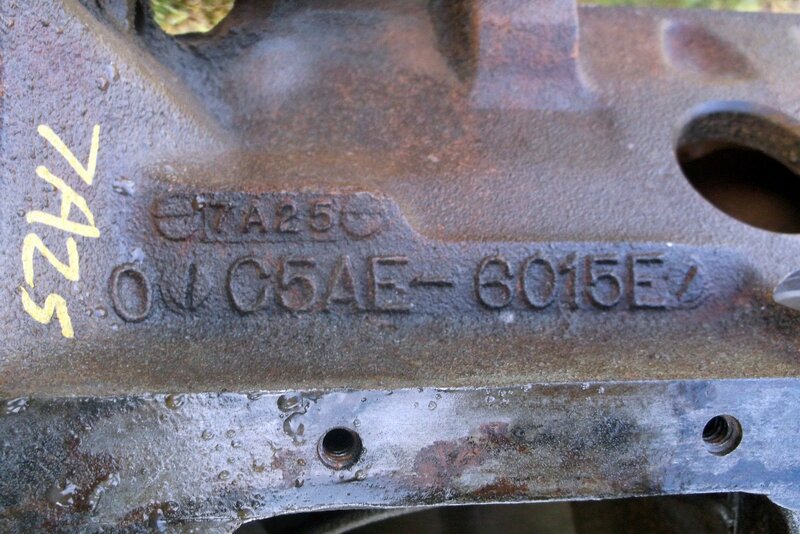 The cylinder head uses hemispherical chambers and V-opposed valves, and thanks to TT Racing Engines’ development, in this application uses a unique twin spark plug cylinder head design created by Terry that has been crafted to address some of the shortcomings in the factory’s single-plug arrangement. “We take big chunks out of the head and put it back together again. 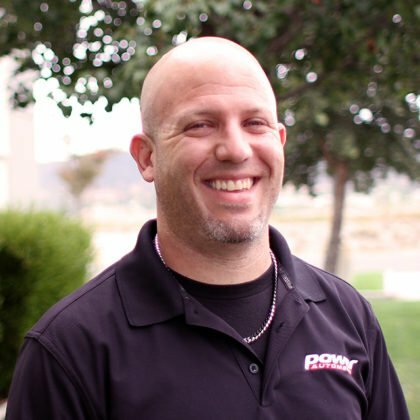 Gary Hagopian has helped with the cylinder head development – he changes it over to the twin-plug design, and then we do all of the port and valve work here. We cut out a section of the head, mill a flat spot on top of the combustion chamber, weld in a new piece of flat stock, then machine in the dual-plug arrangement,” says Terry. Other changes to the valvetrain area include a new camshaft sprocket and chain design. The original design was a duplex chain, and TT uses a single-roller chain design to gain a few horsepower. It offers less rotating weight and is more efficient. Left - New single-roller timing chains are used to reduce valvetrain weight. Right - The TT Race Engines team also uses new forged I-beam connecting rods and forged pistons for durability. “We pick up about 20 horsepower going to the dual-plug design. I had trouble getting a good burn in the cylinders whenever we’d up the compression ratio. 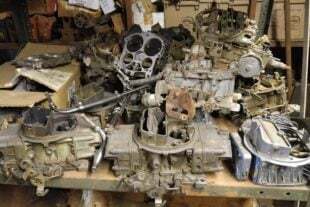 We run a lot less timing with the twin-plug also, which means that we’ve got a more efficient cylinder head.” Weber Carburetors and Chesman Engineering assist in induction development. 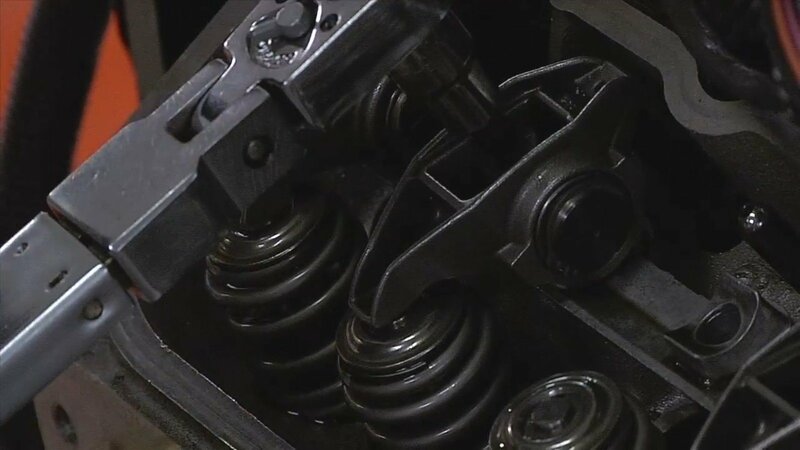 The crankshafts has been constructed to double the number of counterweights and reduce vibration. 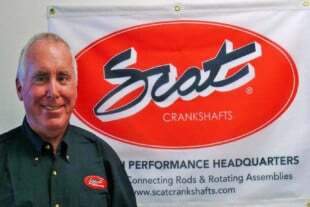 “Vibration eats up horsepower, so we use a 12-counterweight crankshaft, forged I-beam connecting rods and forged pistons that are built to our specifications,” he says. 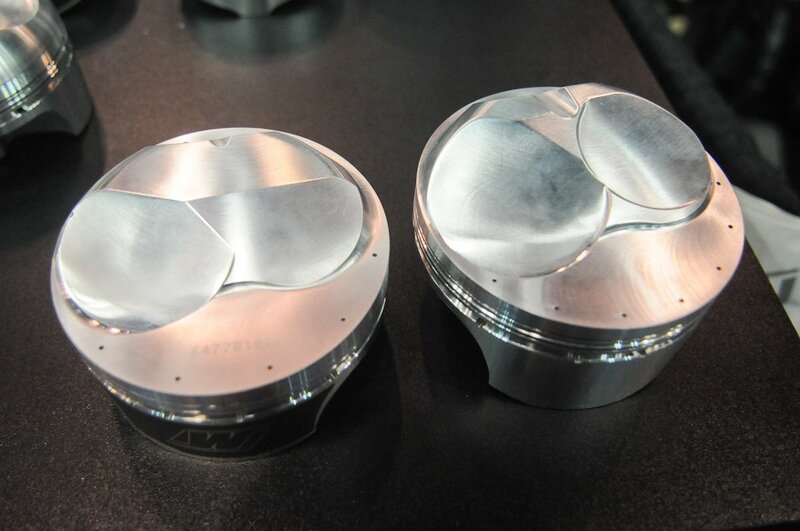 Factory pistons were spun-cast, so there’s a large improvement in durability and consistency with the forged pieces. 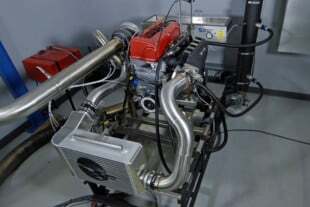 On the dyno at R&R Motorsports, the engine pumped out 400 horsepower, which is substantially more than the original’s 265-horse rating, although Terry says it was really around 180 horses due to variations in measurement techniques. In fact, Terry managed to coax 300 horsepower out of this same design back in 1990, and it’s taken him 24 more years to add an additional hundred horsepower and nearly double the original factory power rating. Terry says that the last few times this design has raced at Daytona, it’s competed against V8 cars of the same vintage and come away with an overall win – not just its class, but the whole event competing against Porsches, Fords, and Chevrolets. The performance improvement is a testament to perseverance and dedication. 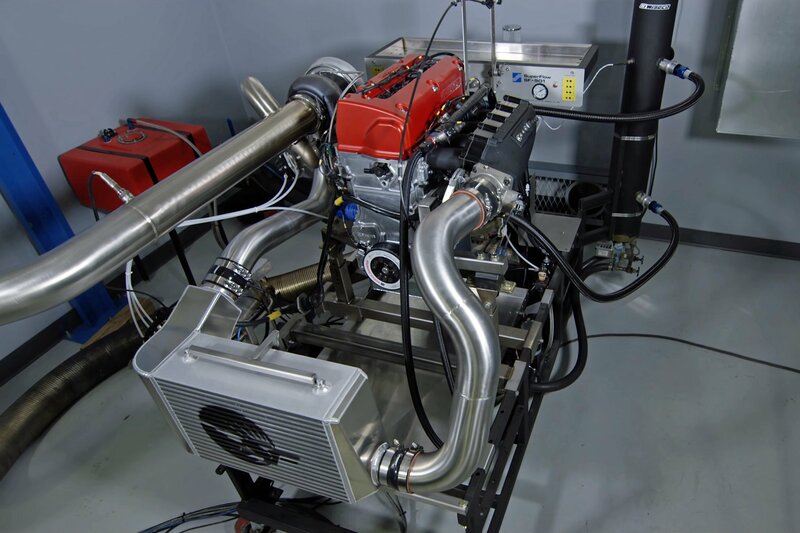 Working with old-school hardware and ensuring it meets current-day durability and performance requirements is quite the challenge, but Terry feels blessed to be able to continue to turn out race-winning engines on a regular basis.